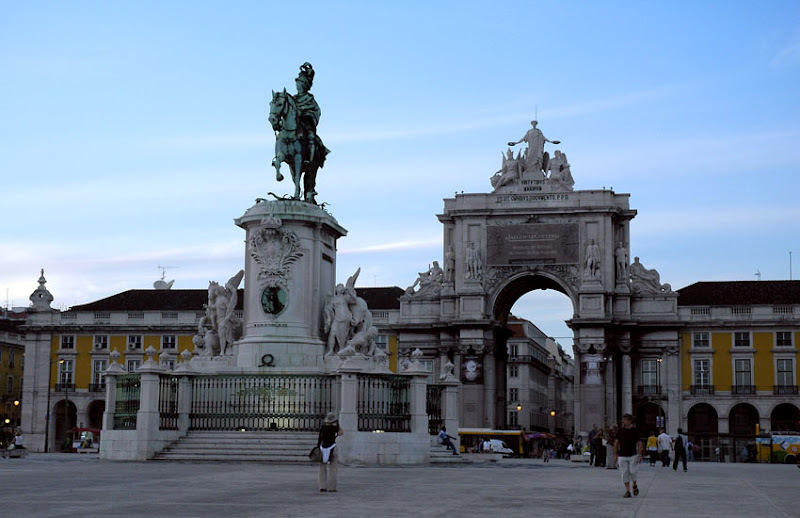 Situated near the Tagus river, Praça do Comércio, known as Palace Square (Terreiro do Paço),is one of the most majestic squares of Lisbon and was once the main maritime entrance to Lisbon. The name Palace Square is clearly a reference to the Palace that was located here for 400 years, until the 1755 earthquake that almost completely destroyed it. Also seen in the foreground is the Statue of King José I. 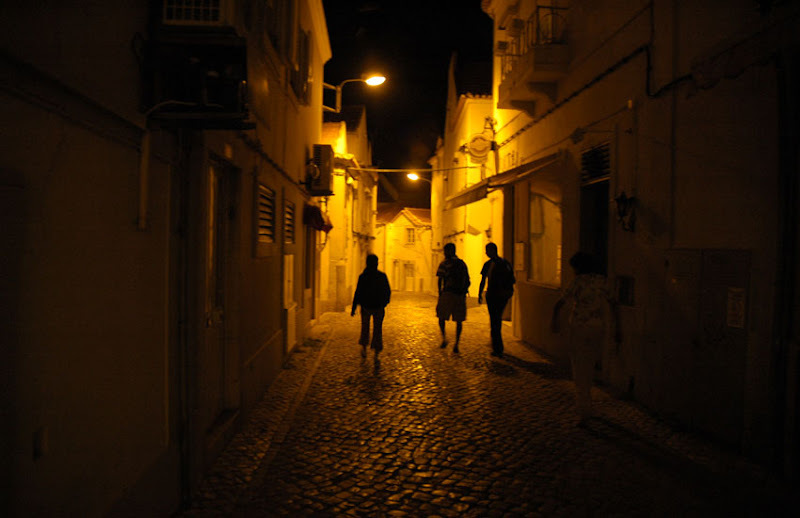 This fishing village lies south of Lisbon in the Setúbal district. The town is famous for its beaches, fish restaurants and nightlife. The Praça da Figueira (Square of the Fig Tree) is a large square in the centre of Lisbon, in Portugal. 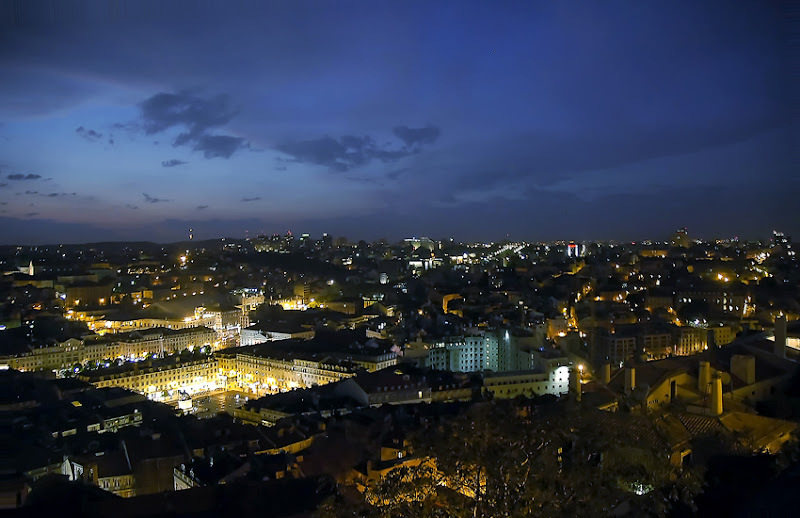 It is part of the city rebuilt after the 1755 Lisbon Earthquake. 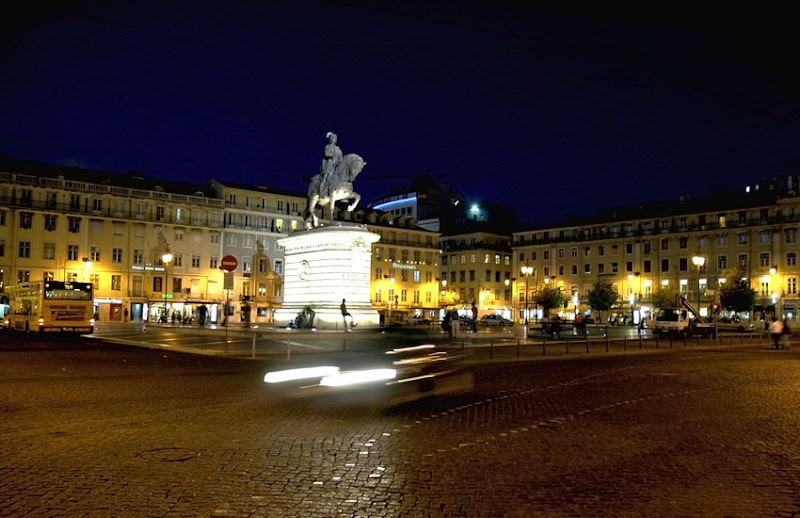 In 1971 a bronze equestrian statue representing King John I (1357-1433), was inaugurated in the square. 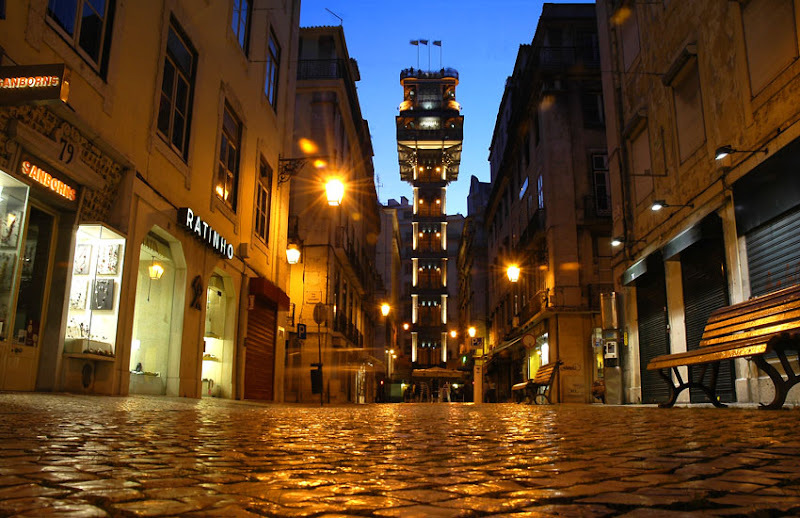 The Santa Justa lift, is in the Santa Justa street of Lisbon. The lift is 45 meters tall and totally made of iron. 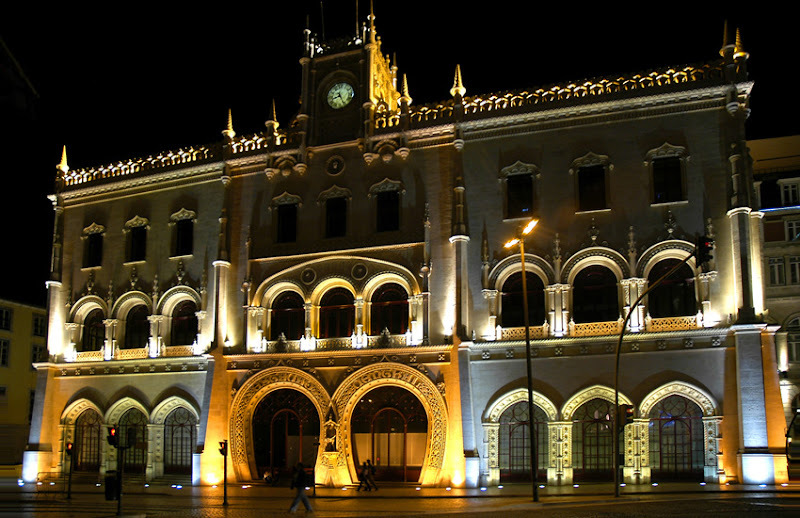 It is a representative of this architectural style in Portugal and connects downtown streets with the uphill Carmo Square and also is a very popular tourist attraction. 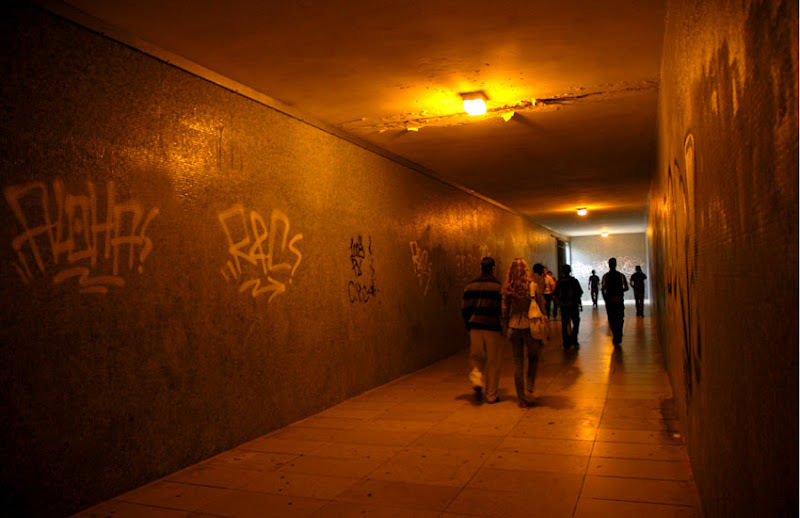 I am currently in Lisbon, Portugal. Should be here for some more weeks and hoping to blog regularly again! Trains depart from this station to Sintra, where you can see the Pena Palace (Palácio da Pena). This station was built in 1886/87 and was recently renovated.